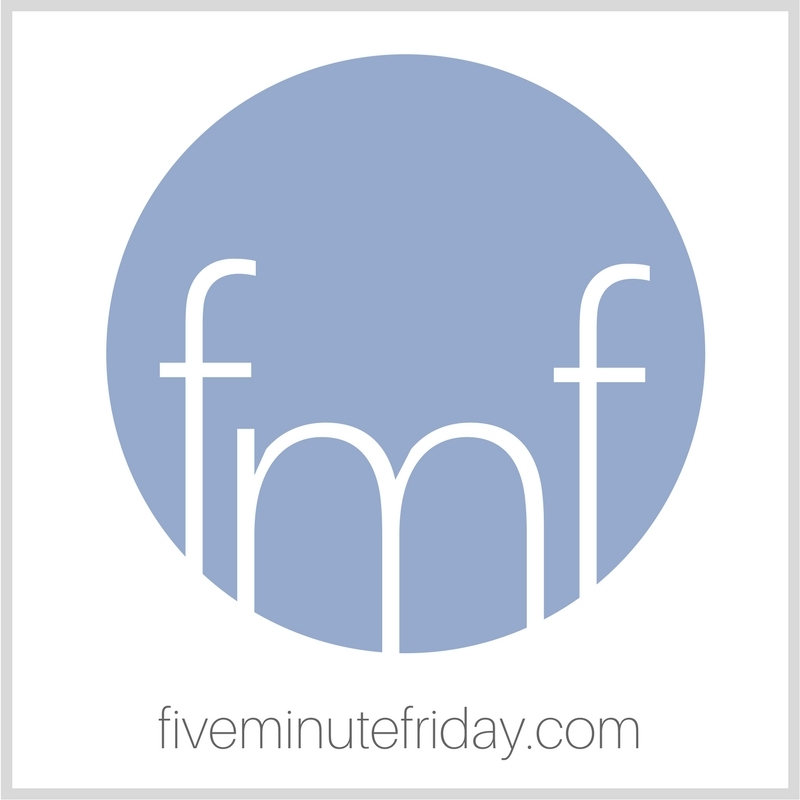 Welcome to another round of Five Minute Friday! If you’re new to FMF, you can learn more about our weekly blog link-up here (including a new video tutorial). We have so many exciting things coming up in September and October, I can hardly keep up! September 12: My new e-course, A Start-Up Guide for Online Writers, launches with Fistbump Media! Coming soon: Brand new FMF merchandise! Stay tuned! Needless to say, if you’re not subscribed to get email updates yet, now’s a good time to do so! 3, 2, 1 … GO. This past summer, my kids participated in our local 4-H program for the first time. A family at our church graciously and generously allowed us to house pigs on their property from May through August. My kids got to learn about how to properly care for the animals. As part of the project, they had to write down what they learned from participating. Unprompted, a common thread weaved through each kid’s response: they learned the value of hard work. Now they’re finishing out their first week in a brand new school, and we’re all exhausted. After a glorious three month break, we’re back to alarm clocks, packing lunches, and after school sports practices and homework assignments. Some of it we like, some of it literally stinks, like scooping pig manure out of a stall — but even scooping poop can be done to the glory of God. Join the fun with your own five minute free write! And don’t forget to link back to this post so others can find us, and also leave a friendly comment on your neighbor’s blog! Good post, Kate. It’s not easy to do all that we do for God’s glory. When I’m tired, grumpy, irritated, I don’t want to do work for God’s glory. It’s a constant choosing, isn’t it? Have a great weekend, Kate! I love that perspective. Our family cleaned my daughter’s dance studio for a few months as a barter for dance lessons ….. and it was pretty transformative to see how that influenced her. She got annoyed when dancers put fingerprints on the mirrors — the mirrors that SHE would have to laboriously clean the next Saturday. What a valuable learning experience. I especially love the line about doing a great work–I needed the reminder, because sometimes teaching feels like a thankless job! Right now, literally being able to get to my feet seems like a great work. I knew this day would come, but didn’t know (and would not have believed) the grace that accompanied it. That’s definitely something I need to remember more. Do it unto the Lord! WORK. We are doing our children an injustice if we aren’t teaching them TO WORK. Right on Kate! One of the mantra’s we’ve “preached” to our children is what ever you do, do it to God’s glory. Every day. Career? Doesn’t matter what you do, trash collector or Doctor. Follow God’s lead for your life and glorify God! I’ll admit though, this is something I struggle with. Folding laundry and emptying the dishwasher…ugh. I’ve gotta look hard for God’s glory in those things. So many exciting things coming your way, my friend! God is faithful to bless your diligence, and you have been working diligently. Whew! Pigs? Girl, you are a better mom than I! We’ve dreamed of chickens, but I don’t think they’d be nearly as smelly as your little oinkers. We’ve done both Christina. Pigs definitely get the award for smelliest, stingiest ugliest. However meat birds are pretty nasty too. I’ve never regretted having either of them in my freezer. What a great summer project! I’m sure they learned a TON! Sometimes work feels like work –oh but for those glorious times when it doesn’t! I’m sure they had plenty of BOTH! Scooping Poop to the Glory of God. Oh Kate, this analogy or anecdote or metaphor, ha ha ha, reminds me of my 4-H days. Except that I was scooping chicken waste (my 4H animal was my dairy goat and her waste was good for the garden so it was not scooped). My husband raised pigs for 4H and was the club president in high school. He wants pigs again. And, you’re right, we were created to work. God worked hard for six days before He rested. We were made for a purpose and it’s a purpose we want to have. Thank you for sharing your life with us yet again! I miss you!